Grew Up... on the planet Earth in the 21st century, which only seems normal to other humans – or “apes,” as some slightly pretentious aliens might say – with similar upbringings. From such a human point of view, however, Rose did have a fairly average childhood, though Rose and her mother have had to struggle since her father died. Visiting... all of time and space. After running into the Doctor, an alien Time Lord who travels in a blue phone booth-like ship called the TARDIS, Rose has been accompanying him on his many adventures. It's a bit of a “culture shock,” but it's certainly more interesting than her previous life. Interests... those of any other nineteen-year-old: “food and sleep.” Other than an stint in competitive gymnastics when she was younger, Rose has had pretty mundane interests – but that's all about to change, as she embarks on the journey of a lifetime. Relationship Status... dating Mickey – or was it Ricky? – but not exactly head-over-heels for a man she affectionately calls, “this stupid lump.” In the words of her own subconscious Rose is “very available,” especially to any time-travelling aliens who might happen to swoop her off her feet. 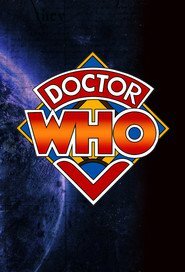 Challenge... staying alive while helping the Doctor save the Universe. There's a good reason the Doctor’s first word to Rose was “run!” as his companions have an unfortunate tendency to die on him. But for Rose, the risk is worth it – how else, after all, would she get to see the infinite wonders of the universe? Rose Tyler's popularity ranking on CharacTour is #674 out of 5,000+ characters. See our top-ranked characters and read their profiles.